From humble beginnings in 1931 Karoun Dairies is now an international presence. Karoun has become the outstanding trademark of pure and natural handmade Mediterranean cheeses and Middle Eastern specialty dairy products. Since 1931 when Ohannes Baghdassarian established the original Karoun dairy, Karoun remains family run. Karoun Dairies was founded by Ara Baghdassarian in 1972 to fulfill his father's mission of providing healthy and natural dairy products. Through a history dating back more than 80 years, Karoun Dairies is rooted in its Armenian and Mediterranean heritage. 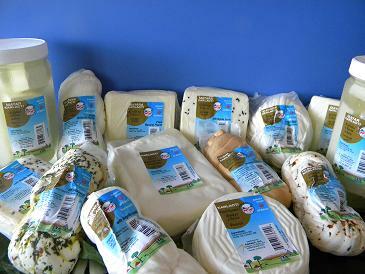 Karoun cheese and Mediterranean specialty dairy products are pure and natural, free of stabilizers and thickeners. Karoun Dairies founder and owner Ara Baghdassarian runs a group of three companies that provide follow the same mission and supply a wide variety of Mediterranean specialty cheeses and cultured dairy products.